With all the coasters, carousels and bumper cars put to bed there was only one attraction to see at Dreamland in Margate. 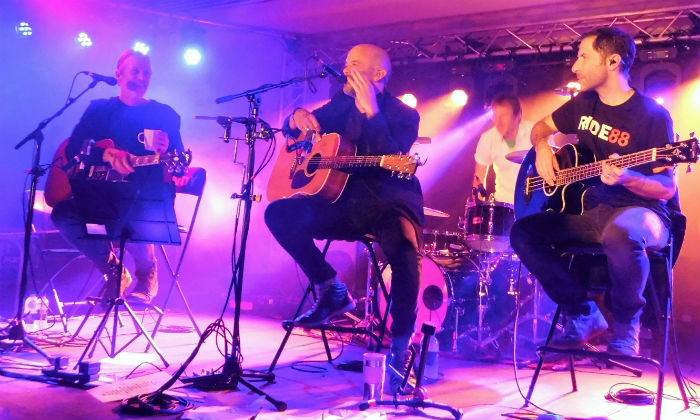 Celebrating thirty years of Ride with a special anniversary Unplugged tour, Oxfordshire's finest came to the seaside to play in the grandeur of the refurbished Ballroom. Back in 1988, the internet was in its infancy, Margaret Thatcher was still PM, the £1 note ceased to be legal tender, Comic Relief was launched and four teenagers, hailed as 'the last great hope of British Rock', started on their journey and in doing so also, inadvertently, created a new genre labelled shoegaze. Andy, Mark, Steve and Loz may have had their ups and downs over the course of the last three decades but since their reformation in 2014 seem to have put any former misgivings behind them in the best interests of the band. With new EPs and last year's album, the band's first in 21 years, there is a refreshed and rejuvenated air to everything that surrounds the current mood of the band. In a surprise move, given their once infamous ear-bleedingly live shows, the current Ride tour is a celebration of their work in an unplugged acoustic guise. As the band took to the stage to take their seats (co-ordinated bar stools with their individual names written across the back in a Director's Chair style) the anticipation among the packed crowd was palpable. Those gathered to watch their heroes included 'Planet Thanet' locals but also a smattering of Americans and a lady over from Japan who was here for her fiftieth Ride gig (Now there's a dedicated fan). The quartet opened, in a suitably reserved style, with a track dropped from 1992's 'Going Blank Again' album. 'Tongue Tied', in Steve's opinion, "the best unreleased track we ever recorded", was the first of the 17 track set. The intricate fret work proved a little tricky for Mark to begin with as he missed a note and drew a wry smile from Queralt, but this misstep was quickly forgotten as the band found their footing. 'Lannoy Point', the opener to their latest album 'Weather Diaries', came next and immediately highlighted the return to form that it heralded. The extended cinematic sound was a perfect fit for a night of unplugged excellence. The jangle of reflective B-Side 'Howard Hughes' set up an upbeat, impassioned and crowd-pleasing performance of the ever melodic 'Twisterella' before a song from the band's latest EP, 'Tomorrow's Shore', in the form of the brooding 'Pulsar'. 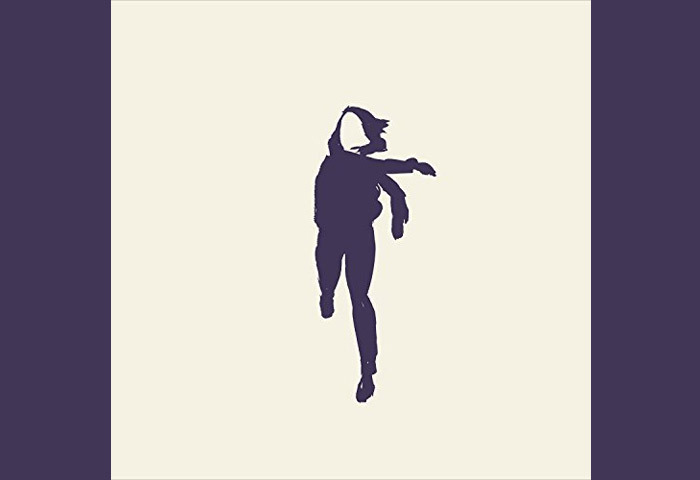 Ride's newer material slotted in beautifully with their more familiar material with the contemplative 'Weather Diaries' and, in particular, the more driven and explosive immediacy of 'Lateral Alice' sounding wonderful. Andy did confess to missing his pedals; "I think I'll take them to bed, I mean nothing will happen, I just miss them"; during the night but the format of the gig worked remarkably well. 'Paralysed' and 'Vapour Trail' were highlights lifted from the band's debut album 'Nowhere'. Ride combined to produce a sound, polished and perfected over the years, that sounded almost majestic in the Dreamland ballroom. The slower harmonised waves of 'Paralysed' and the fresher indie pop of perennial favourite 'Vapour Trail' went down a treat in front of a packed crowd. There was no encore as such with the band choosing not to partake in the sometimes farcical ritual. 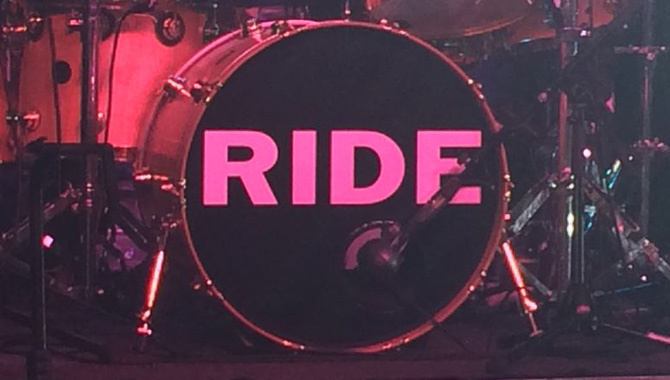 Instead Ride remained and played out three songs to close. Andy Bell introduced the first of the trio of songs to close out the set: "So back when we first started out we used to try and play songs by other bands, in fact we didn't play this song, but this is a song we'd have loved to play back then." Mark further explained, "When I was learning to play guitar I tried to play along with this song, it was really bad, but I've got better at it now", before they broke into a rousing version of R.E.M. 's 'The One I Love'. They definitely seemed to have the hang of it now. A stirring and epic 'Leave Them All Behind' closed out a memorable performance. For a band once renowned for ear-splitting live sets, an acoustic unplugged tour may have seemed like an odd choice but, just as Nirvana once triumphed on MTV in a similar vein, Ride proved themselves more than capable, showcasing real artistry and musicianship in an unfamiliar format to the benefit of all before them.